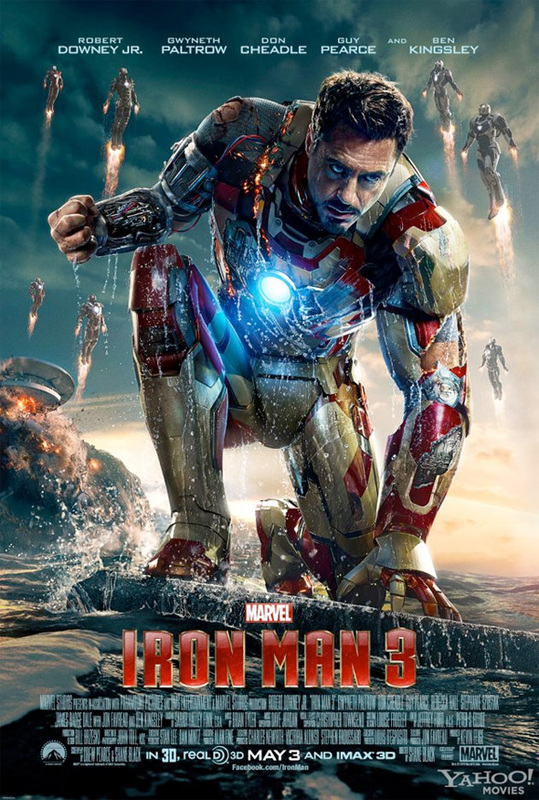 Yahoo Movies has the new Iron Man 3 official poster featuring Tony Stark in a battle torn suit, and a rising Iron Army. Rumor is that these Iron buddies are part of the Extremis story and controlled by Stark. Check out the new poster below. For a little more information on the Extremis project, you can check out this Extremis motion comic below, stitched together with episodes 1-6. It’s definitely an interesting story, and if the rumors hold true, the third act of Iron Man 3 should contain some of the best action in a Marvel movie to date. Title: With the Light: Raising an Autistic Child (Manga) Distributor: Yen Press Story and art by Keiko Tobe. Hikaru is in 6th grade now, reaching the end of his elementary school years and preparing for junior high. Sachiko had hoped for Hikaru to attend the local junior high, but not only is the special education system inadequate, there are bullies there who will try to take advantage of Hikaru. Sachiko will have to work harder than ever to find a perfect school for Hikaru while fighting the board of education that wants Hikaru to attend a school for the disabled. For Sachiko and Masato, it seems like only yesterday that their children, Hikaru and Kanon, were little. But these days, Kanon is about to start elementary school, while Hikaru is getting out into society and going to junior high by bus. Time may fly, but in the outside world, some of Hikaru’s actions that were acceptable at home or in his elementary school Special Ed classes just aren’t anymore. When one of these habits creates chaos during the morning commute, Sachiko has to find a way to clear up a serious misunderstanding with Hikaru’s fellow commuters and take steps to curb any behavior that might stand in the way of Hikaru living in the world as “a cheerful, working adult.” Furthermore, dealing with the negative attitudes that others – including her mother-in-law – have about Hikaru begins to take its toll on Sachiko, especially with Masato occupied at work. Will the stress of facing new challenges presented by Hikaru’s autism drive a rift between the two? For most parents, their child’s teenage years are just as bad, if not worse, than the terrible twos. But for Sachiko and Masato Azuma, the situation is further complicated by their son Hikaru’s autism. As puberty strikes, Hikaru’s growing sexual awareness creates uncomfortable and embarrassing situations, and begins to affect his little sister, Kanon. The already-taxed Sachiko must find ways to alleviate the situation, while being mindful of the effects her approach may have on her children and on the people around them. But when Masato is told he has to relocate again for work, the pressure is really on Sachiko as the decision is made to move in with her mother-in-law, who has always been less-than-accommodating to Hikaru’s needs. With new challenges arising daily — Hikaru tackling adolescence through the lens of autism, Kanon struggling with peer pressure, Masato throwing himself into the new job — will Sachiko, the Azuma family’s rock, succumb to the cracks that have begun to form in her generally cheerful outlook on life? While trying to create a place in society for her autistic son, Hikaru, has been an uphill battle, Sachiko Azuma has long known that perhaps the toughest place to find acceptance for him is within her own family. Despite some progress made, Sachiko’s mother-in-law still treats her grandson as a nuisance and sees him in many ways as inferior to his little sister, Kanon. Now that the Azuma family has moved into Masato’s childhood home, Sachiko must not only adapt to life with her mother-in-law – she also must help Hikaru, whose developmental disabilities make it notoriously difficult for him to accept changes to his routine, adapt to this new living situation and a new school. As Sachiko tries to balance caring for Kanon and Hikaru in the face of her mother-in-law’s constant disapproval, will the Azuma family emerge from what seems like the darkest of tunnels into the light? Told in completed chapters as well as unfinished pages that the creator drew while battling a long illness, this final volume of With the Light serves as a legacy to the late Keiko Tobe’s inspiring dedication to bring to light the hardships and joys of raising an autistic child for readers around the world. Course The Force Will Be Back In 2013! When: Down the California Coast in the days leading up to the San Diego Comic Con. Why: Because what Star Wars™ fan hasn’t dreamed of using a lightsaber for good? 100% of the registration proceeds benefit the Make-A-Wish Foundation chapters of Southern California. Need more reasons? This isn’t your typical race. Runners will pass off an official Course of the Force lightsaber at quarter-mile markers and are encouraged to come decked out in their best costumes. It doesn’t look like registration is open yet but once it does we’ll let you know. If you want to keep an eye on it just visit CourseTheForce.Com! I think that any one who has or knows some one who has and autistic child should read this. It is a manga which is a Japanese novel that uses illustrations like in comic books. But when it was translated to English they put in a helpful reference page in the front, or back of the book from our perspective that explains the flow of the writing and gives a little detail in to the cultural differences that may confuse people not familiar with Japanese life styles and values. Born during the sunrise – an auspicious beginning – the Azumas’ newborn son is named Hikaru, which means “light.” But during one play date, his mother notices that her son is slightly different from the other children. 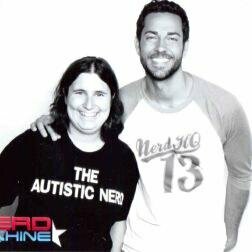 In this alternately heartwarming and bittersweet tale, a young mother tries to cope with both the overwhelming discovery of her child’s autism and the trials of raising him while keeping her family together. Sachiko and Masato Azuma have overcome numerous obstacles in dealing with their firstborn son Hikaru’s autism. Having saved their marriage from ending in ruins, the young couple has welcomed a healthy baby girl, Kanon, into their tight-knit family. As Hikaru moves into fourth grade, Sachiko encounters a new student, Miyu, whose mother has completely given up on her daughter’s life and her own. With the help of Hikaru’s beloved teacher, Aoki-sensei, Sachiko aims to bring hope back to Miyu’s family. But when Aoki-sensei transfers to a different school and Hikaru’s special education class is thrown into upheaval by yet another tragedy, can Sachiko continue to hold on to her own hope for her son’s future? A little effort goes a long way – that’s what Sachiko, Honda-san, and Gunji-sensei learn as they struggle to work together to make life easier for the Special Education children. With the help of gadgets and the support of more people in their environment than meets the eye, Hikaru and Miyu become able to communicate better with the world around them. But when Hikaru’s teen idol classmate sends some mothers into a flashbulb frenzy that causes Hikaru to panic, other parents begin to question his presence alongside “normal” students in the classroom. Hikaru’s first school trip also ends in disaster, when he gets separated from the group, and Sachiko begins to worry that Hikaru is losing his hard-fought place in society. When staffing changes at Masato’s company get him transferred to a dead-end job in the middle of nowhere, more suffering and despair seem imminent for the Azuma family. However, Masato approaches the situation with aplomb and comes up with new ways to pave the way for Hikaru to become “a cheerful working adult” with surprising results. And with Hikaru now a 5th grader, Sachiko decides to foster independence in her son by allowing him to go to school on his own. Though the transition goes relatively smoothly, Sachiko and Masato are devastated when Hikaru encounters Oki-kun on his way home from school, only to learn that the boy is being abused in foster care. Good news: If you find yourself still traveling to San Diego even without a badge, here is one of many events going on during Con week. You can RSVP to the After Party on Facebook. If you want to stay up to date on all things Zombie Walk, be sure to like their page and follow them on Twitter.